It was a lovely Saturday in March… with rain in the forecast. 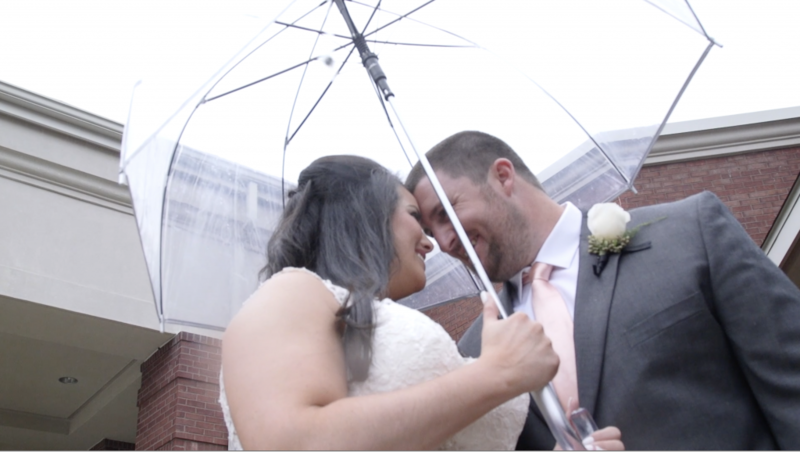 As a wedding videographer, you never want there to be rain on a wedding day. You don’t want that for the couple and you don’t want that for the guests. The flowers were blooming (as you can see in the background of the photo below) and the weather was cloudy, and breezy and perfect. Thankfully, the rain held off for the good parts. It held off long enough for us to have a beautiful First Look in the flower garden out in front of the church. As soon as Juliet and Austin got to spend a few minutes together, we rushed back inside to keep everyone dry. The weather just added to the energy of the moment. Check out their First Look video below and hear the excitement in their voices. These two LOVE each other and could not WAIT to be married. One of my favorite websites for wedding planning is Brides.com and they have a cool blog called 7 Reasons You Want Rain on your Wedding Day. 1. You’ll love your photos. When you think of taking snapshots in the rain, put aside your visions of frizzing hair and stepping your peep-toes into puddles, and instead focus on the photo-op at hand. “Photos with umbrellas can be so cute that you might even wish for rain,” says Samuels. After the ceremony, we went over to the brand new and LOVELY Soiree Event Gallery. This place is up and coming and I hope to film there a lot more! Juliet and Austin left for their honeymoon in an old Vintage Car that looked awesome! This was an special day for me because I got to bring my buddy Joe along as a second shooter and he was fantastic! He is a photographer and videographer and he got so many angles and moments that just added to the final film. (Look out for an upcoming blog on why you want to hire a videographer who brings a second shooter). Some of my favorite moments from the day (and in the film) was the First look with Dad, First look with Austin, and Juliet’s sweet and funny bridesmaids messages to the new happy couple. There was just so many moments from the day that I wish I could have included. 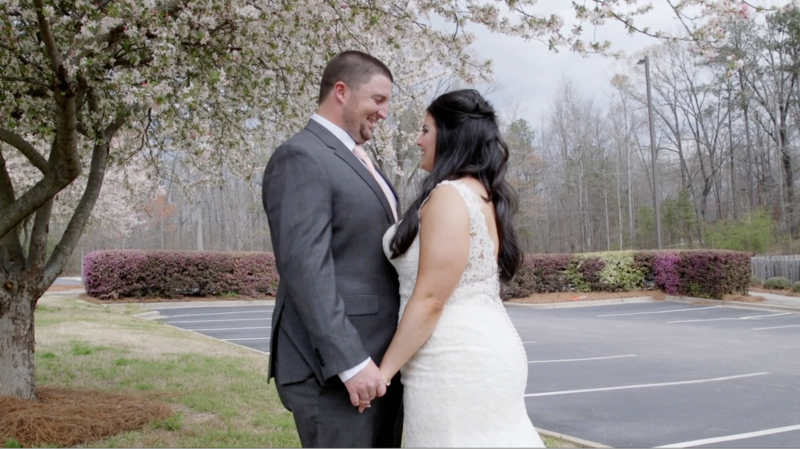 So without holding back any longer, I am SO excited to share with you Juliet & Austin’s Wedding Film.